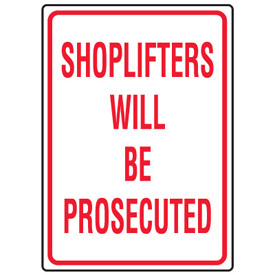 Shoplifting in New Hampshire, otherwise known as willful concealment, is a misdemeanor criminal offense. NH retail stores have seen a rise in shoplifting cases over the past few years, in part due to the worsening economy. Willful concealment involves concealing the merchandise or goods of another while on the premises of a store. Typically, the loss prevention officer will stop you and immediately demand the return of the unpaid items. The local police will also be called and you will be arrested at the scene. Willful Concealment is a Misdemeanor offense in New Hampshire. A misdemeanor criminal record for shoplifting has many negative consequences including possibly preventing you from obtaining a good job. The criminal defense lawyers at Tenn And Tenn, P.A. have represented many individuals charged with shoplifting and willful concealment. A shoplifting conviction carries significant penalties including heavy fines, no-contact with the retail establishment and possible jail time. Because the penalties can be harsh, it is important that you have counsel by your side. If you are facing criminal charges in NH, feel free to contact us today for a free telephone consultation to discuss your charges and how we can help. Contact Tenn And Tenn, P.A. at 603-624-3700. We have reproduced below the text of New Hampshire’s shoplifting law, which defines the crime of willful concealment in New Hampshire. I. A person is guilty of willful concealment if, without authority, he or she willfully conceals the goods or merchandise of any store while still upon the premises of such store. Goods or merchandise found concealed upon the person shall be prima facie evidence of willful concealment. Notwithstanding RSA 637:11, willful concealment shall be a misdemeanor. (d) Transfers goods or merchandise from the container in which such goods or merchandise were intended to be sold to another container. Source. 2009, 209:1, eff. Jan. 1, 2010.